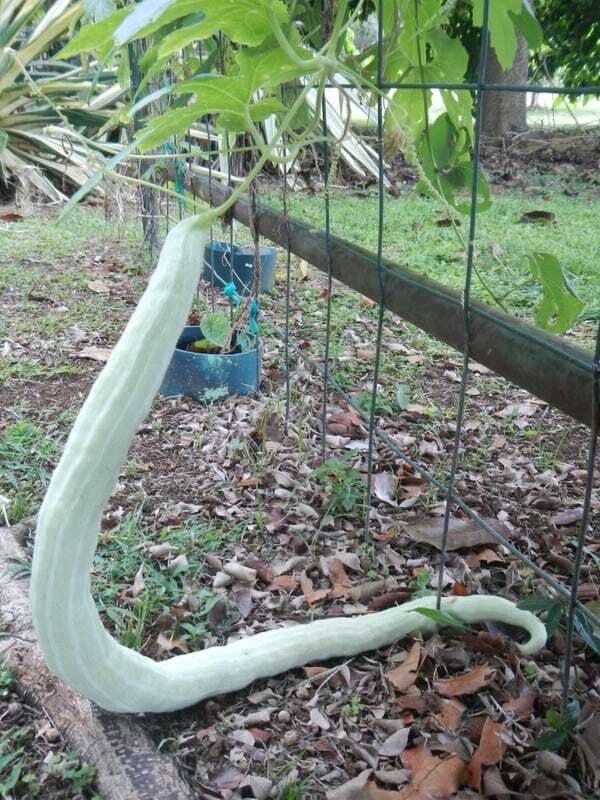 We recently found a couple of snakes at Na ‘Aina Kai, snake gourds that is, Trichosanthes cucumerina. On sale in the gift shop for only $25. 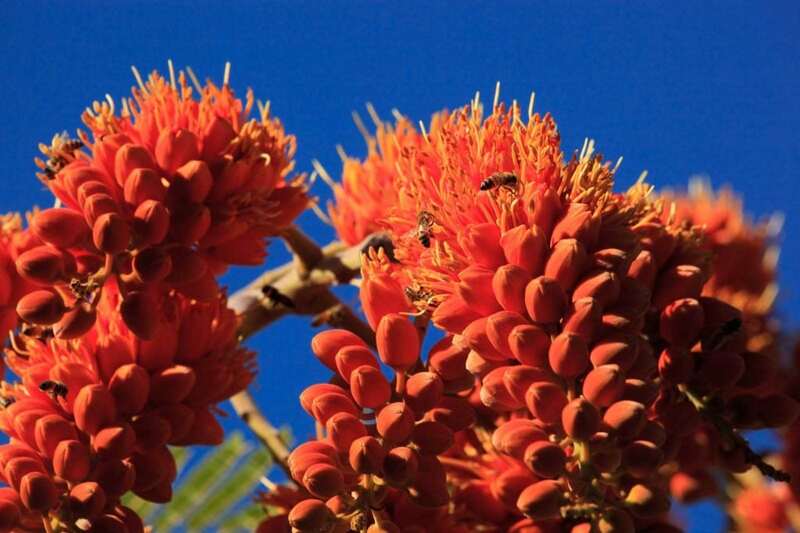 Over 300 beautiful photos along with a detailed history of the Gardens. Buy it now in our gift shop. Shipping is available. 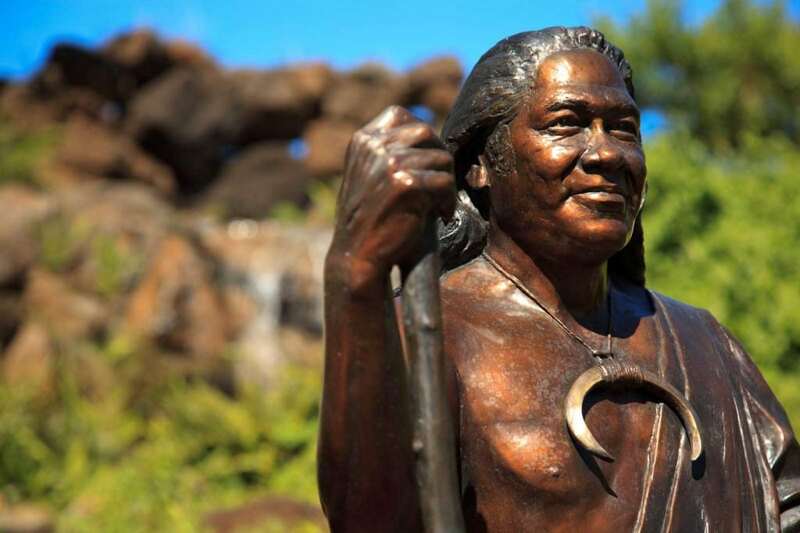 This 2 1/2 minute clip chronicles the story of Na ‘Aina Kai’s first major sculpture. Founders Joyce and Ed Doty discuss the circumstances that led to it’s arrival. 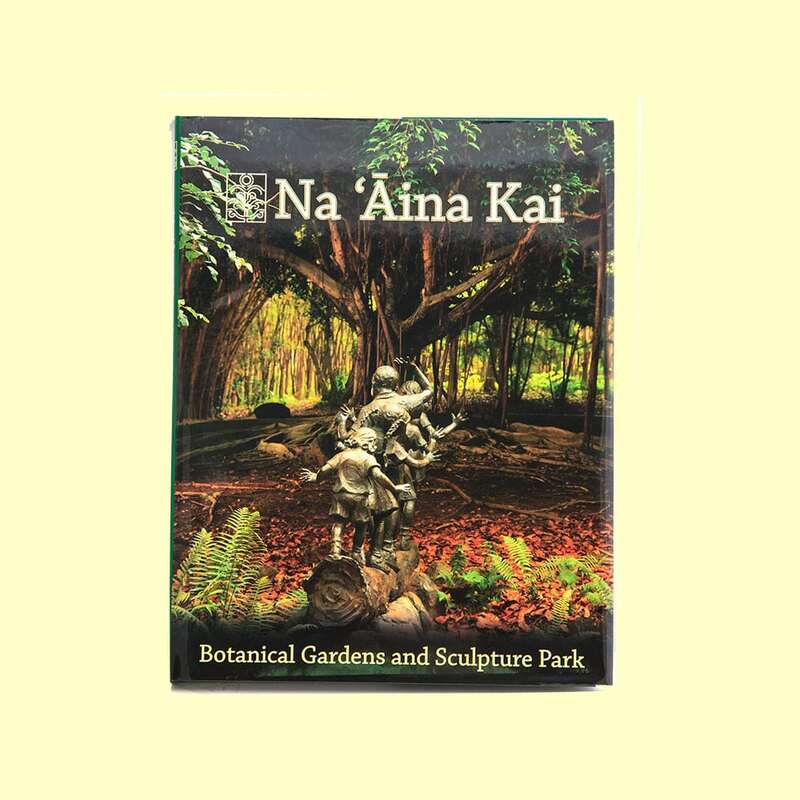 Excerpted from the DVD “Na ‘Aina Kai, How She Came to Be”. 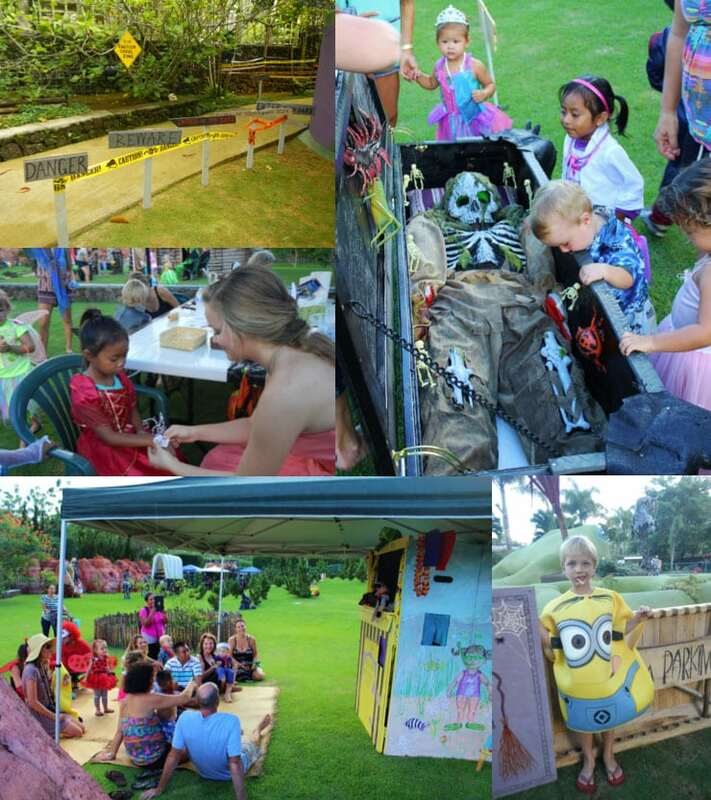 All the glitz and glamor was out in force at Na ‘Aina Kai Botanical Gardens last night at Kealoha’s Debutante Masquerade Ball. 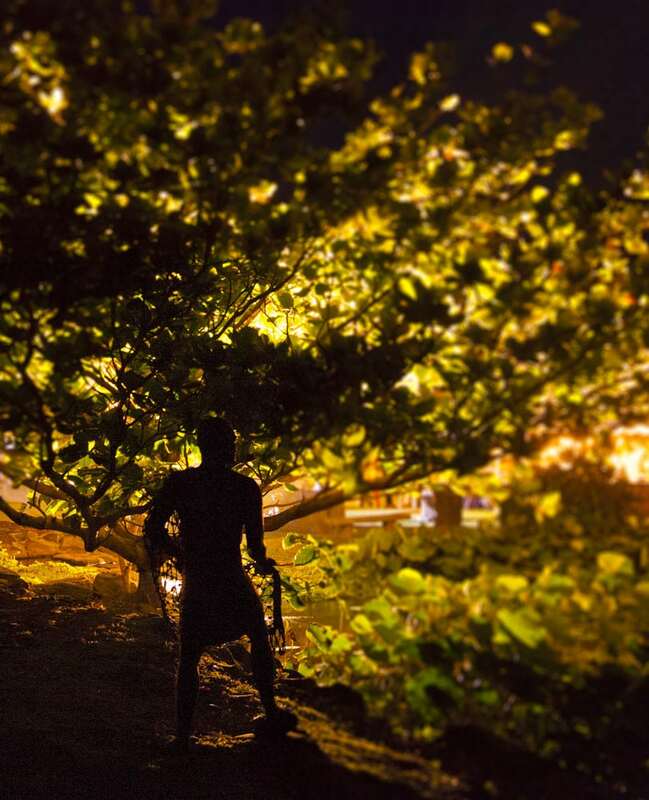 Kealoha was radiant in his bronze splendor, his throw net luminous with rich patina and silky spider webs…. 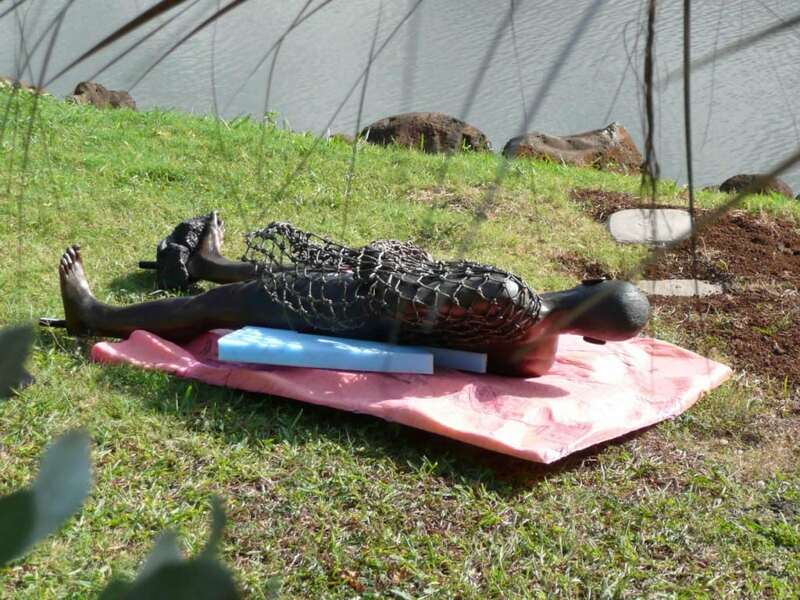 Our Hawaiian throw net fisherman was recently caught himself… lying down on the job! Life can be hard down here by the beach. Today we had the 4th Graders from Kilauea Elementary School at the Ahupua’a. It was lots of fun and not only did the kids get to play, they were able to see a realistic depiction of an ancient Hawaiian ahupua’a. We are not open for self-guided tours. Visitors must make a reservation to see the Gardens. For reservations or questions please call 808-828-0525. Mahalo!